Simply put, I build robots to do neuroscience! I am currently working on my Ph.D. degree in Bioengineering at Georgia Tech. 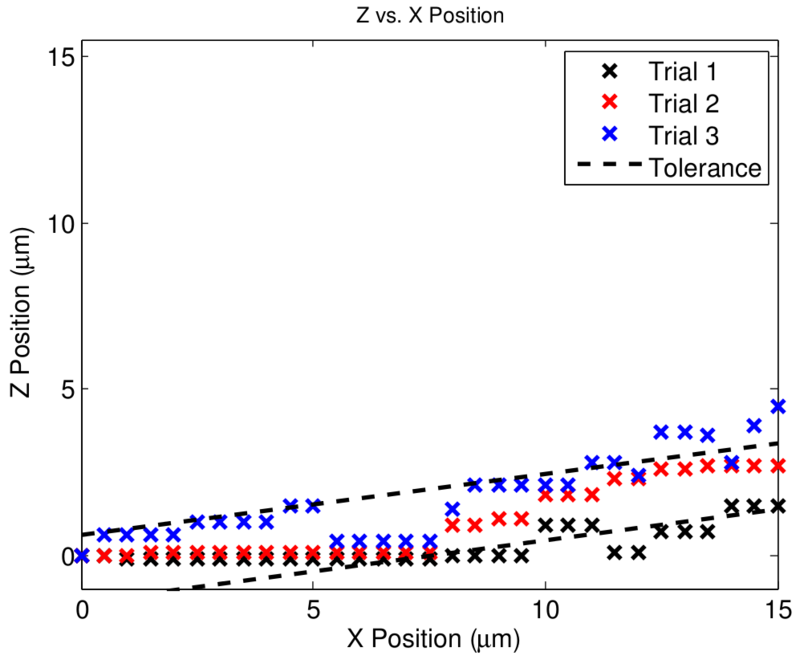 M. A. Stockslager, C. M. Capocasale, G. L. Holst, M. D. Simon, D. J. M. Yuanda Li, E. B. Rousseau, W. A. Stoy, C. R. Forest, and T. Sulchek, "Optical method for automated measurement of glass micropipette tip geometry," Precision Engineering, (in press). S. B. Kodandaramaiah, G. L. Holst, I. R. Wickersham, A. C. Singer, G. T. Franzesi, M. L. McKinnon, C. R. Forest, and E. S. Boyden, "Assembly and operation of the autopatcher for automated intracellular neural recording in vivo" Nature Protocols vol. 11, 2016. C. R. Phaneuf, N. Pak, D. C. Saunders, G. L. Holst, J. Birjiniuk, N. Nagpal, S. Culpepper, E. Popler, A. L. Shane, R. Jerris, C. R. Forest, "Thermally multiplexed polymerase chain reaction", Biomicrofluidics, vol. 9, no. 4, 2015. Holst, G. L., Jensen, B. D., "A Silicon Thermomechanical In-Plane Microactuation System for Large Displacements in Aqueous Environments," 2011 International Mechanical Engineering Congress & Exposition (IMECE2011-64268), Denver, Colorado, USA. Holst, G. L., Teichert, G. H., Jensen, B. D., "An Exploration of Buckling Modes and Deflection of a Fixed-Guided Beam," Proceedings of the ASME 2010 International Design Engineering Technical Conferences & Computers and Information in Engineering Conference (DETC2010-29076), Montreal, Canada. N. Pak, G.L. Holst, C.R. Phaneuf, C. Saunders, C.R. Forest, “Control Schemes for Microfludic Viral DNA/RNA Amplification," Proceedings of the 27th Annual Meeting of the American Society for Precision Engineering, San Diego, CA, October 21-26, 2012. G. L. Holst, D. C. Saunders, N. Pak, C. R. Phaneuf, and C. R. Forest, "Open-Loop, Rapid, Laser PCR System Using Transient Thermal Analysis, Optimization, and Environmental Control", Proceedings of the Biomedical Engineering Society (BMES) 2012 Annual Meeting, Atlanta, GA, October 24-27, 2012. S.B. Kodandaramaiah, G. L. Holst, G.T. Franzesi, A. Singer, I. Wickersham, X. Han, E.S. Boyden, C.R. 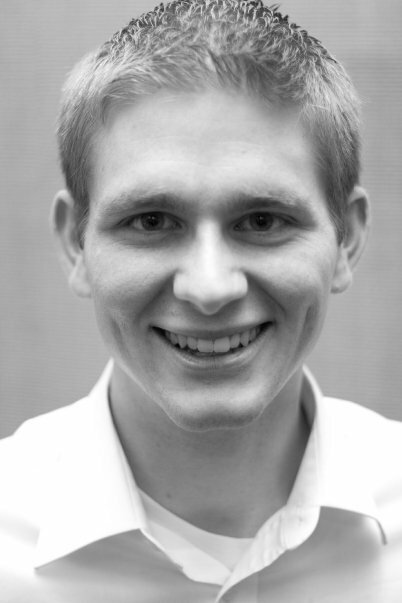 Forest, "The Multipatcher: a robot for automated, simultaneous whole-cell patch-clamping of multiple neurons in vivo", Proceedings of the Annual Meeting of the Society for Neuroscience (Neuroscience 2012), New Orleans, LA, October 13-17, 2012. S.B. Kodandaramaiah, I. Wickersham, S.R. Bates, A.S. Chuong, M. Ogawa, M.V. Baratta, N. Klapoetke, G. L. Holst, L.C. Acker, F. Yoshida, P.E. Monahan, C.R. Forest, E.S. Boyden, "Autopatcher application to single cell RNA analysis and optogenetic cell type identification", Proceedings of the Annual Meeting of the Society for Neuroscience (Neuroscience 2012), New Orleans, LA, October 13-17, 2012. B. Krishnaswamy, C.M. Henegar, J.P. Bardill, D. Russakow, G.L. Holst, B.K. Hammer, C.R. Forest, R. Sivakumar, When Bacteria Talk: Time Elapse Communication for Super-Slow Networks, Proceedings of The Institute of Electrical and Electronics Engineers (IEEE) International Conference on Communications (ICC) 2013 - Wireless Networking Symposium (ICC'13 WN), Budapest, Hungary, June 2013. G. L. Holst, S. B. Kodandaramaiah, W. Stoy, E. S. Boyden, C. R. Forest, Automated, high-throughput recording of neuron electrical activity in the living brain. Georgia Tech Research and Innovation Conference (gtRIC), Atlanta, GA, Feb 13, 2013. W. Stoy, G. L. Holst, N. Pak, C.R. Forest, Mobile tools for automated scoring and analysis at Capstone Expos, Proceedings of the Capstone Design Conference 2014, Columbus, OH, May 30-Jun 1, 2014. I. Kolb, G. L. Holst, B. Goldstein, S.B. Kodandaramaiah, E.S. Boyden, E. Culurciello, C.R. Forest, "Automated, in-vivo, whole-cell electrophysiology using an integrated patch-clamp amplifier", Proceedings of the 22nd Annual Computational Neuroscience Meeting (CNS 2013), Paris, France, July 13-18, 2013. J. Go, A. Fan, C. Lu, S.B. Kodandaramaiah, G.L. Holst, W. Stoy, I. Kolb, E.S. Boyden, C.R. Forest, "Fully-automated, in-vivo, single cell electrophysiology", Proceedings of the 28th Annual Meeting of the American Society for Precision Engineering, Saint Paul, MN, Oct 20-25, 2013. W. Stoy, C. Shepard, I. Kolb, G. L. Holst, S. Kodandaramaiah, D. Ollerenshaw, D. Millard, E. Boyden, G. Stanley, C. Forest, "Multiple, In-vivo patch clamp recordings along the mouse vibrissae pathway", Proceedings of the Annual Meeting of the Society for Neuroscience (Neuroscience 2013), San Diego, CA, November, 2013. A. C. Singer, G. T. Franzesi, S. B. Kodandaramaiah, I. R. Wickersham, S. Sharma, S. Batir, N. Pak, G. L. Holst, C. R. Forest, J, J, Kopell, E. S. Boyden, "Awake Autopatching: Automatic shole cell patch clamp hippocampal neurons in awake behaving animals", Proceedings of the Annual Meeting of the Society for Neuroscience (Neuroscience 2013), San Diego, CA, November, 2013. 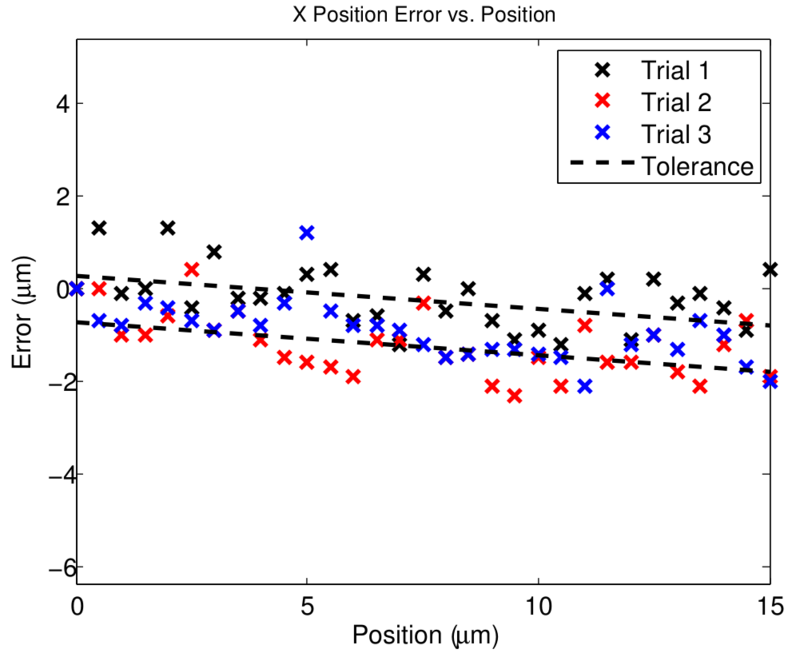 S. B. Kodandaramaiah, F. J. Flores, I. R. Wickersham, G. L. Holst, E. N. Brown, C. R. Forest, E. S. Boyden, "The Multipatcher: A robot for high-density measurement of intracellular dynamics in-vivo", Proceedings of the Annual Meeting of the Society for Neuroscience (Neuroscience 2013), San Diego, CA, November, 2013. 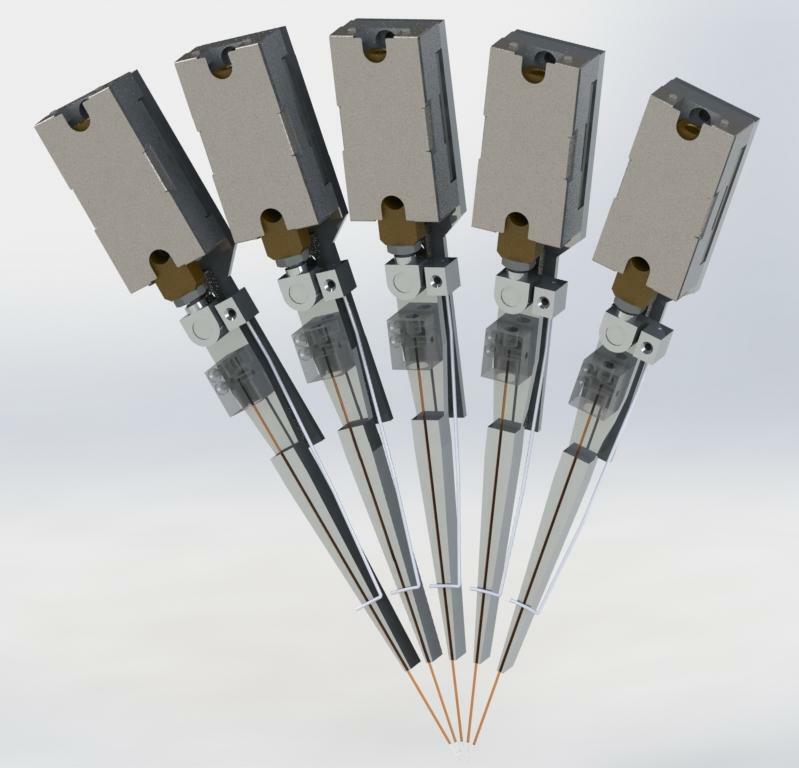 G. L. Holst, S. B. Kodandaramaiah, C. R. Phaneuf, W. Stoy, I. Kolb, I. R. Wickersham, N. Killian, E. A. Buffalo, E. S. Boyden, C. R. Forest, "Miniaturized actuation system for automated, in-vivo, patch clamp recording", Proceedings of the Annual Meeting of the Society for Neuroscience (Neuroscience 2013), San Diego, CA, November, 2013. G. L. Holst, J. 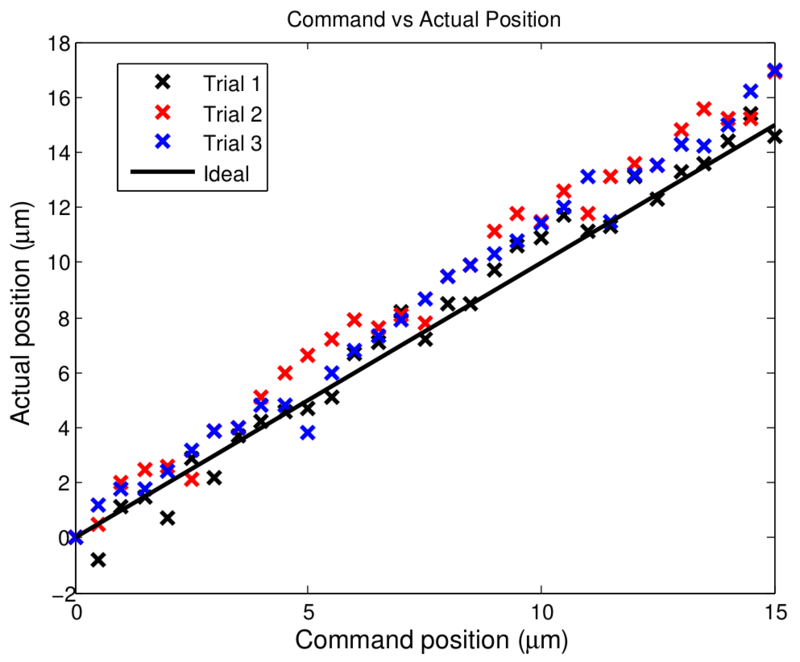 Go, C, Lu, S. B. Kodandaramaiah, C. R. Phaneuf, W. Stoy, I. Kolb, I. R. Wickersham, E. S. Boyden, C. R. Forest, "Pipette Replacement Robot to fully automate sequential patch clamp recordings in-vivo", Proceedings of the Annual Meeting of the Society for Neuroscience (Neuroscience 2013), San Diego, CA, November, 2013. A. C. Singer, G. Talei Franzesi, S. B. Kodandaramaiah, M. Tsitsiklis, S. Sharma, D. Bozic, S. Batir, I. R. Wickersham, G. L. Holst, C. R. Forest, C. Börgers, N. J. Kopell, E. S. Boyden, "Time course of subthreshold activity preceding spike generation in awake behaving mouse hippocampus", Proceedings of the Annual Meeting of the Society for Neuroscience (Neuroscience 2014), Washington DC, November 15-19, 2014. G. Talei Franzesi, A. Singer, I. Kolb, S. Sharma, S. Kodandaramaiah, M. Tsitsiklis, I. Wickersham, G. L. Holst, D. Bozic, S. Batir, C. Forest, C. Borgers, N. Kopell, E. S. Boyden, "Automated exploration of intracellular mechanisms of in vivo neural computation", Proceedings of the Annual Meeting of the Society for Neuroscience (Neuroscience 2014), Washington DC, November 15-19, 2014. S. B. Kodandaramaiah F. J. Flores, G. Talei Franzesi, A. C. Singer, G. L. Holst, I. R. Wickersham, C. Borgers, N. J. Kopell, C. R. Forest, E. N. Brown, E. S. Boyden, "Automated multiple-cell patch clamp assessment of multineuron subthreshold dynamics in waking and anesthetized states", Proceedings of the Annual Meeting of the Society for Neuroscience (Neuroscience 2014), Washington DC, November 15-19, 2014. A. A. Chubykin, I. Kolb, B. M. Callahan, G. L. Holst, W. Stoy, C. R. Forest, E. S. Boyden, M. F. Bear, "Automated image-guided whole-cell patch clamp technology for mapping functional neuronal circuitry", Proceedings of the Annual Meeting of the Society for Neuroscience (Neuroscience 2014), Washington DC, November 15-19, 2014. G. L. Holst, S. B. Kodandaramaiah, I. Kolb, W. Stoy, I. Wickersham, A. 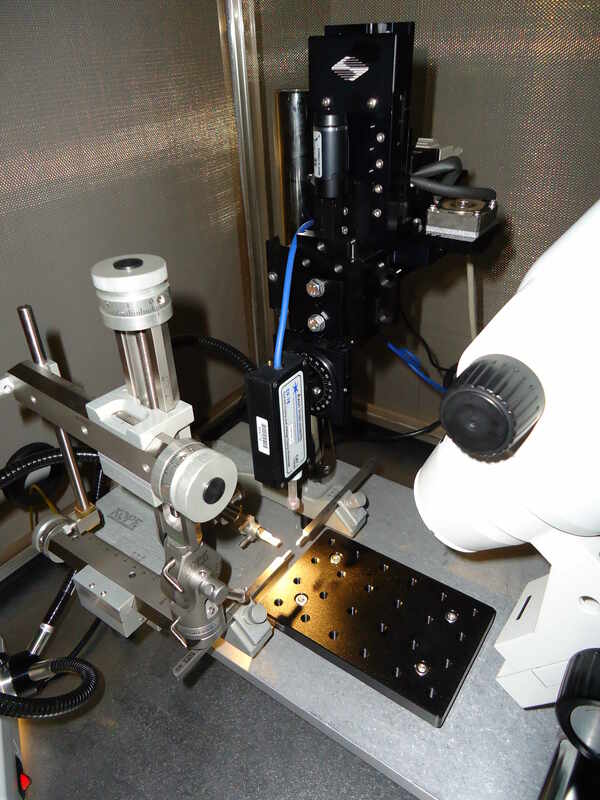 Singer, L. Li, E. S. Boyden, H. Zeng, C. R. Forest, "High-throughput fully-automated patch clamp robot for in-vivo electrophysiology and morphology", Proceedings of the Annual Meeting of the Society for Neuroscience (Neuroscience 2014), Washington DC, November 15-19, 2014. F.J. Flores*, S.B. Kodandaramaiah*, I.R. Wickersham, G. L. Holst, G. Talei-Franzesi, A.S. Singer, N. Kopell, C. Borgers, C. Forest, Emery N. Brown, Edward S. Boyden, Effects of general anesthetics on somatosensory cortical neurons, Proceedings of the 22nd Annual meeting of the Cognitive Neuroscience Society (CNS 2015), San Francisco, CA, Mar 28-31, 2015. Gregory L. Holst, William A. Stoy, Ilya Kolb, Lu Li, Ulf Knoblich, Suhasa B. Kodandaramaiah, Staci A. Sorenson, Harminder Gill, Tim Jarsky, Jack Waters, Annabelle Singer, Bo Yang, Edward S. Boyden, Hongkui Zeng, Craig R. Forest, "Progress toward high throughput, in vivo cell-type identification using coupled electrophysiological and morphological properties", Society for Neuroscience 2015, Chicago IL October 17-21, 2015. C.R. Forest, C.M. Henegar, J.P. Bardill, C. Phaneuf, G.L. Holst, B.K. Hammer, Empirical measurement of molecular communication between bacteria on a microfluidic chip, 1st International Summer School on Nanocommunications, Tempere University of Technology, Tampere, Finland, May 21-23, 2013. Patch clamping (Link) is a neural recording technique that has been used for almost 3 decades to study the electrical activity of single neurons in living brain tissue. It has always been, however, a labor intensive experimental technique requiring great skill and patience to master what most practitioners consider an art form. To address these limitations, we have developed automation techniques to greatly reduced the amount of training and time required to obtain recordings. Our technique, dubbed "autopatching", is described along with a few others in more detail on Wikipedia (Link) and in a Nature Methods paper in 2012 (Link). 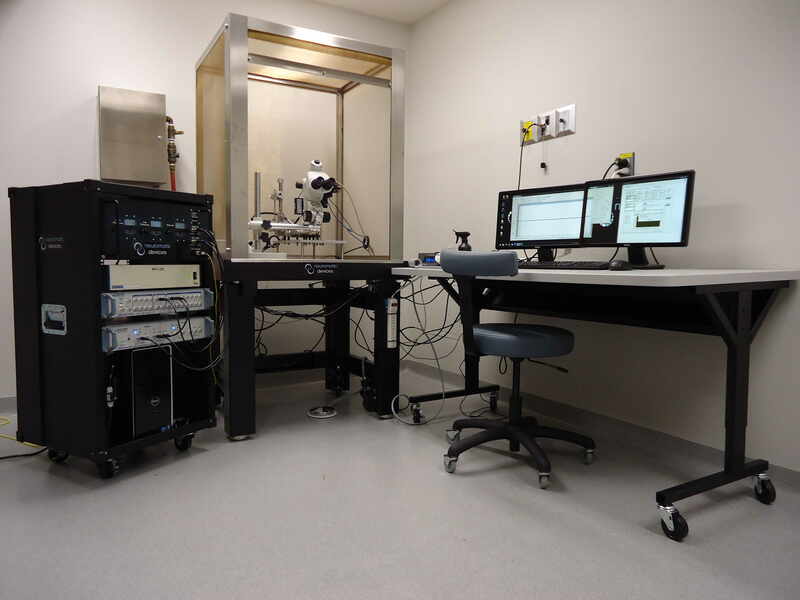 This is a photograph of the entire experimental setup	used to record from live mice. It shows the computer, vibration isolation table, faraday cage for EMI, digitizers, amplifiers, and our custom automation hardware. This is a close up photograph of the buisness end of the recording system. 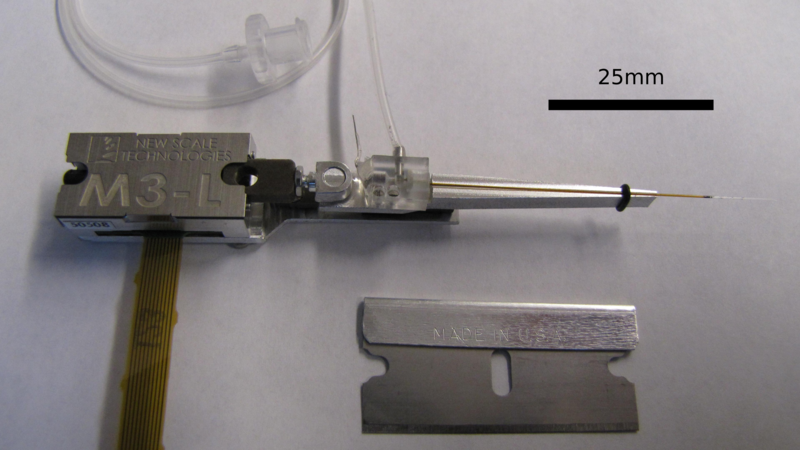 It shows a stereomicroscope, a 3 axis manipulator, a stereotaxic frame for positioning the skull of the mouse, and a preamplifier (blue cable) into which the glass pipette is inserted. To make the pipette, a glass capillary is flame pulled to a point with an ID smaller than 1 μm. The robot then lowers this tip into the brain of a mouse until it makes contact with the main body of a neuron and begins to record. The last manual step for a user of the automated system above is to replace the glass capillary after every recording attempt. This step is required to maintain the cleanliness and molecular integrity of the recording tip. This photograph shows the first working prototype of an automate pipette change system. On the right you can see the pipettes secured in collets that are picked up by the white plastic pipette holder on the left. The pipette carosel on the right rotates to a new pipette and the pipette holder moves to the right over the top of the collet. The collet is raised to meet the holder where magnets secure the collet in place. The pipette holder then moves to the shown position where it lowers it into the brain of a mouse. This system was successfully demonstarted to operate hands free at the Allen Institute for Brain Science during the fall of 2014. This is the second version of the pipette changing robot. The design removes all the automation hardware from the neural recording head which reduces vibration, drift, thermal effects, and electrical noise from affecting the recordings. This system was able to obtain stable and high throughput neural recordings while at the Allen Institute during the fall of 2014. These images show an experimental setup from the Brain Mind Institute, Ecole Polytechnique Federale de Lausanne where they recorded from 12 neurons simultaneously in a brain slice using a highly optimized user interface to manually configure each pipette (Link to Paper). In the first image, you can see the extremely dense array of hardware surrounding the tiny slice of brain tissue under the microscope. This is the limiting factor preventing more simultaneous recordings. (The circular blue objects with the white stripes are the 3 axis manipulators). The box in the person's hand in the right image also shows the large size of pre-amplifier. The miniaturized hardware I developed (below) allow many more manipulators around the same piece of tissue to further probe the neural network by obtaining electrical recordings from many more cells simultaneously. Coupled with the automated control system also developed in our lab this system could also exceed the yield of even the highly optimized manual system. This is a photograph of the minaiture actuation system designed to replace the much larger actuators in the photographs above. These control the position of the recording pipette in 1 axis and have a pneumatic seal for controlling the pressure on the pipette. The miniature actuators can be arranged with a much higher density than the currently available commercial actuators. There are also future developments by Intan Technologies to reduce the size of the amplifiers (box in the hand of the person in the right image). The miniature actuators from NewScale Technologies have an encoder resolution of 500 nm and the bearing system provides roughly 20 μm of lateral position precision. 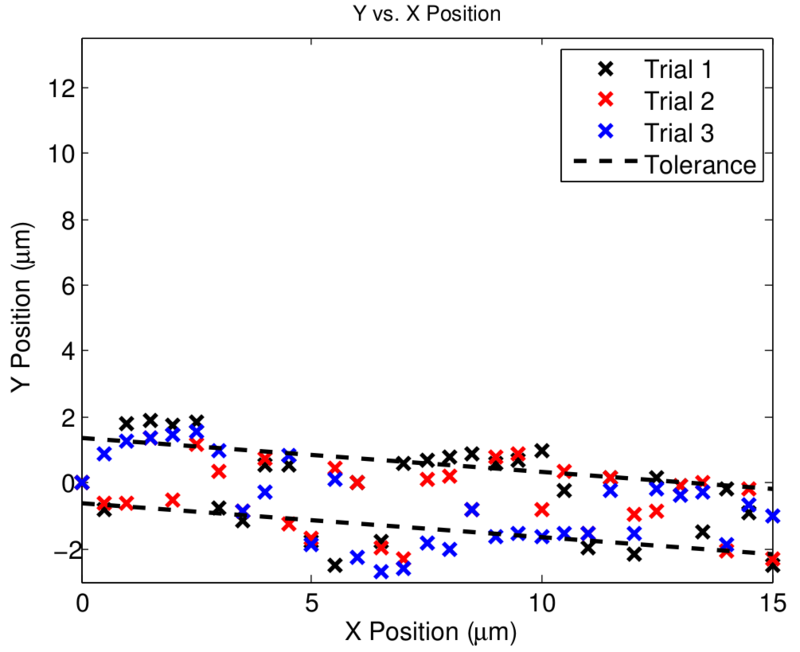 Work is currently ongoing to reduce this variation and increase the stability of recording from 10 μm diameter neurons. For more detail see the links to the posters at the top of this section. This was a project spearheaded by Curtis D. Saunders for his master's thesis. My main contributions to this work include the thermal analysis and laser power optimization to improve the temperature performance of the system. I designed the temperature control hardware, solved the bubble formation problem, and generated the optfimized the laser power profiles to increase the speed and accuracy of temperature holds by using genetic algorithms and a lumped, 1D, optimized thermal model of the system. (a) shows a photograph of the clamshell temperature controlled surfaces with callouts for the IR diode laser system and inverted microscope. 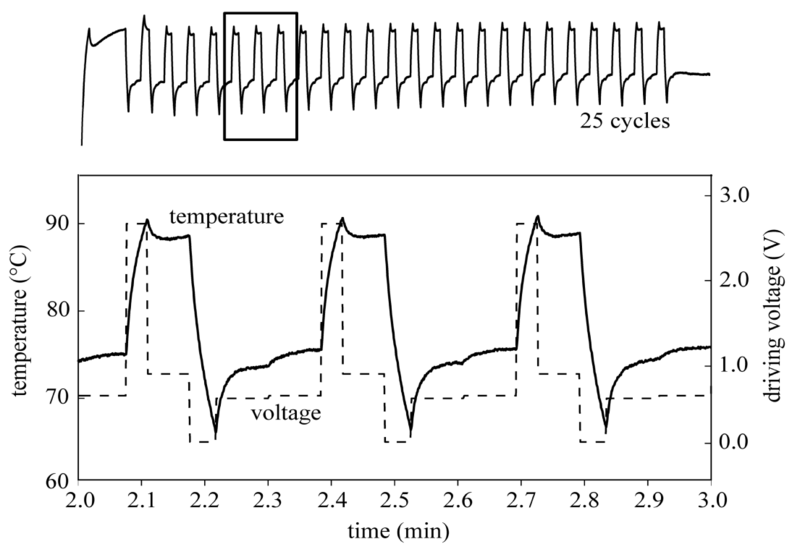 The system carefully controls the surface temperatures of the acrylic chip (b) which contains the DNA template, primers, and polymerase used in the PCR reaction. 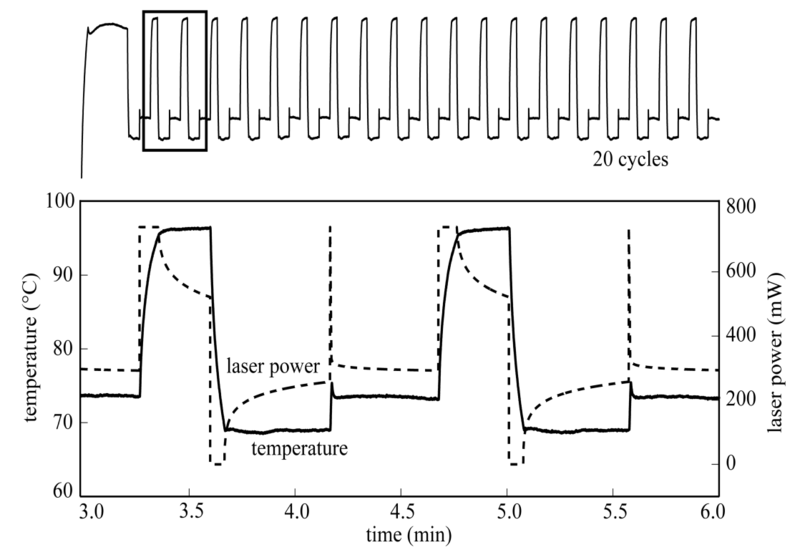 The IR laser rapidly heats and cools the 2 µL sample in the chamber to create the temperature profile shown below. These images show the performance before and after the thermal analysis and power optimization I performed. To achieve consistent and specific DNA amplification, the temperatures must remain very constant during the three phases of PCR to achieve a good amplification efficiency. This design proved highly successful. Because the temperatures required to denature the DNA are close to the boiling temperature of water, bubbles begin to form inside the chamber which force the fluid away from the focal spot of the laser and down through the fill ports. This reduces the efficiency of the reaction because the fluid in those ports is at a different temperature than the main chamber. To reduce bubble formation, we applied 40 psi of pressure to the chip to increase the boiling temperature of the solution. This significantly increased the reliability and temperature consisitency. This robot is deisgned to recorded the electrical activity of single neurons in the living brain in a completely automated fashion. The robot controls the voltage, pressure, and position of the recording pipette with great accuracy and precision to make this possible. For more information, see this publication. The last manual step in performing serial recordings with patch clamping is changing the glass micropipette after every recording attempt. 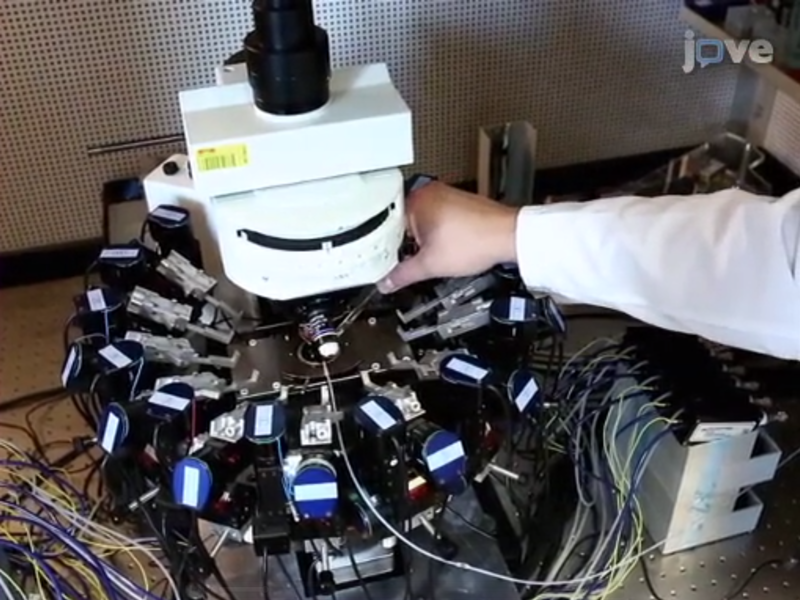 This video shows an automatic pipette change system added to the automated neural recording robot. For more information, see this poster. 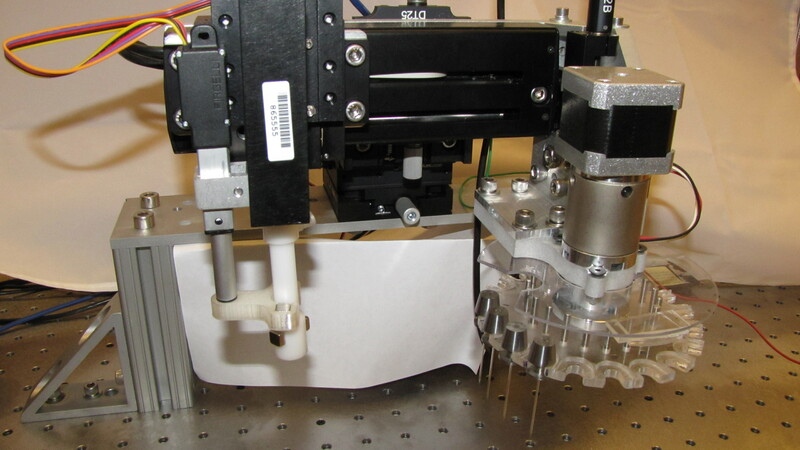 This is the second version of the fully-automated patch clamp robot. It is designed to record the electrical activity of single neurons in the living brain without the need for human interaction. This prototype was developed at the Allen Instittue for Brain Science as part of my Ph.D. research. For more information, see this poster that I presented at SFN in 2014. This version also includes an automated filling station that fills the 1.5mm OD glass pipettes with intracellular solution before inserting it into the recording head. 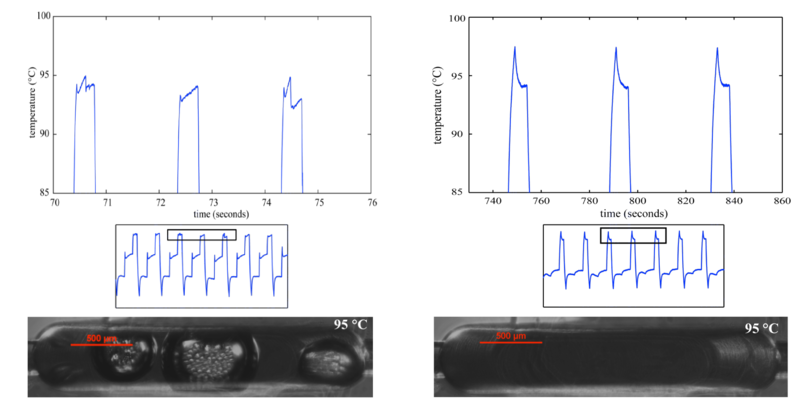 Using the design principles used to develop the thermomechanical in-plane actuator the video above, we combined it with a MEMS DNA injector used to create transgentic mice. 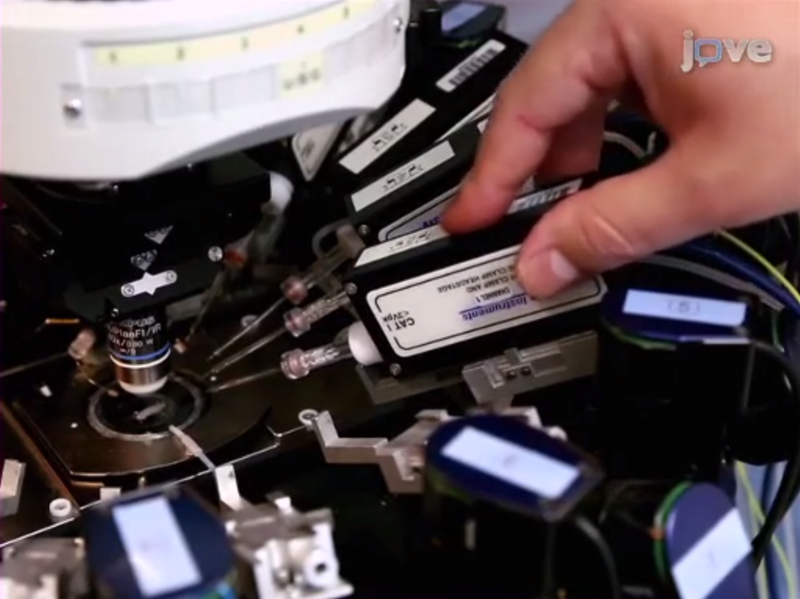 This video shows the entire system operating together to raise and actuate the DNA injection needle. 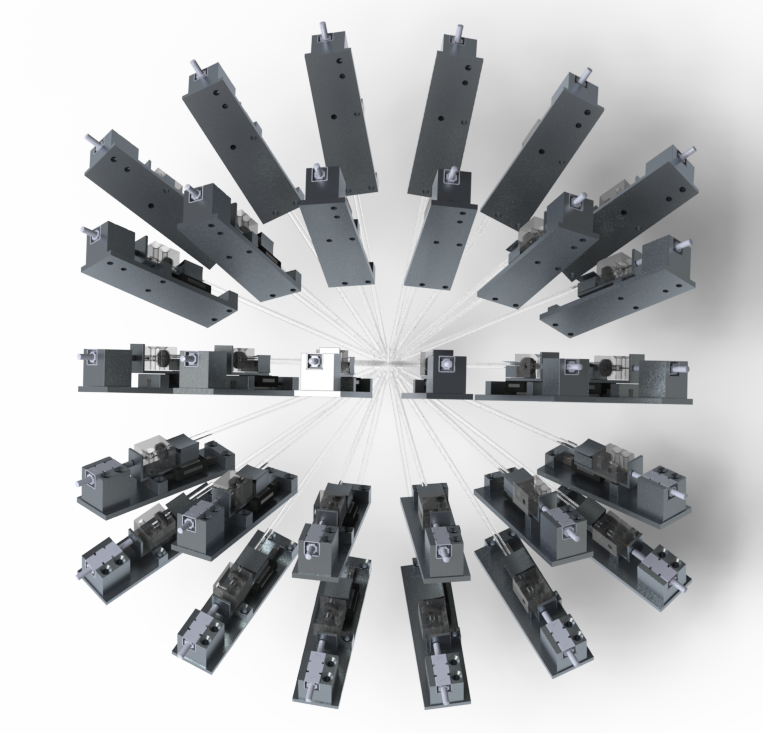 Overall the system travels more than 100 μm using the ratcheting mechanism. This was a class project for a computer vision class. The webcam on the computer is watching 3 LEDs built into the glove and generates the cursor position and selection commands using OpenCV in C++. The GUI was written in C++, using Qt and OpenGL. This was a class project for the advanced mechatronics class. It is a prosthetic for blind patients and gives them rough depth perception by translating the depth information given by the Microsoft Kinect sensor into vibration intensity on the patient's skin. An array of 100 cell phone vibrators gives a rough 10x10 pixel image that corresponds with depth. We used the OpenKinect library running on a Beagle Board to process the sensor data in real time and controlled the vibrating motors with an Arduino and a custom motor driver circuit board. This is a demonstration of a digital control system controlling the angular position of the shaft of a DC motor. It uses an optical encoder for feedback and a TI Launchpad MSP432 microcontroller for the brains. The video walks through the features and differences between proportional, derivative, and integral controllers as well as the effects of integral wind up and update rate on the system performance. This was developed as a teaching tool for the Fundamentals of Mechatronics class at Georgia Tech as part of my teaching practicum responsibilities.